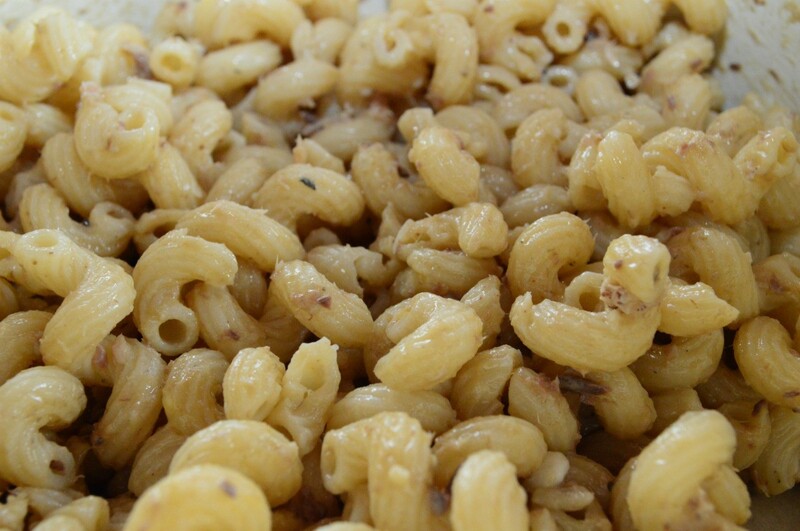 Add some protein to your favorite mac and cheese recipe by including a can of tuna. This is a guide about adding tuna to macaroni and cheese. Mix a defrosted package of Macaroni and Cheese with 1 can of tuna fish (preferably oil packed), drained. Top with crumbled Ritz Crackers. Microwave 3 minutes. Can double recipe. Spruce up a box of plain old mac and cheese with a can of tuna fish! Now you've got cheesy tuna noodle casserole! You can even add a cup of frozen peas and carrots (add while the noodles are boiling) to make it more special. My son loves this and he gets a more balanced meal.